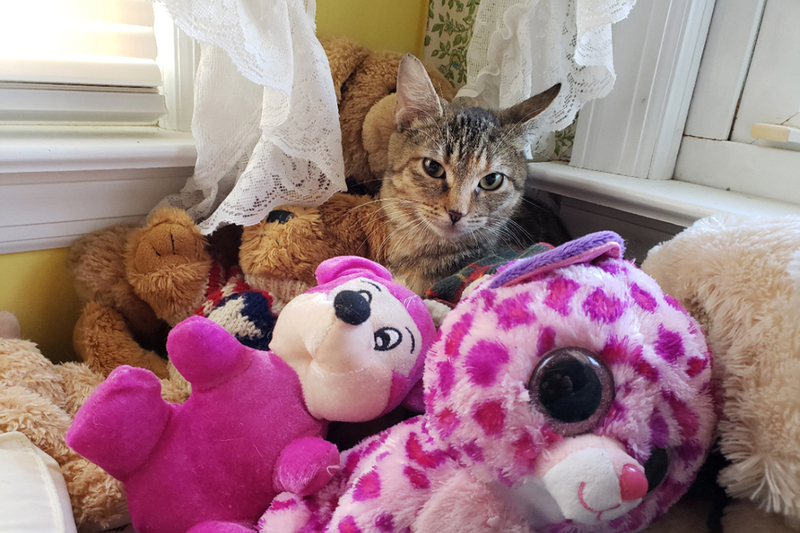 At first the family was concerned about bringing a new cat into the house because their other cat, Rose, usually throws a tantrum for about a week when this happens. However, with Freyja, she didn’t do this at all. She sniffed her, and let Freyja sit right next to her. The family thinks it was a sign that Freyja was really meant to be with them. “Her injury honestly has not slowed her down at all. She runs around like a maniac sometimes, and she’s adorable while she does it!” comments Mark. 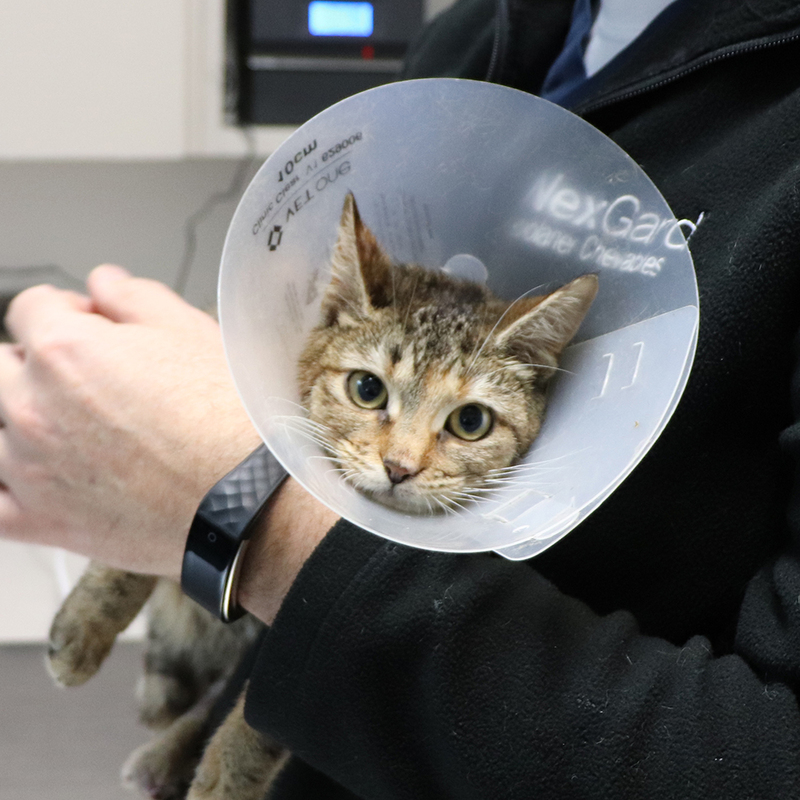 Unable to walk and terrified, Cranberry was found by a Good Samaritan in November of 2018 outside a delicatessen in New York City. 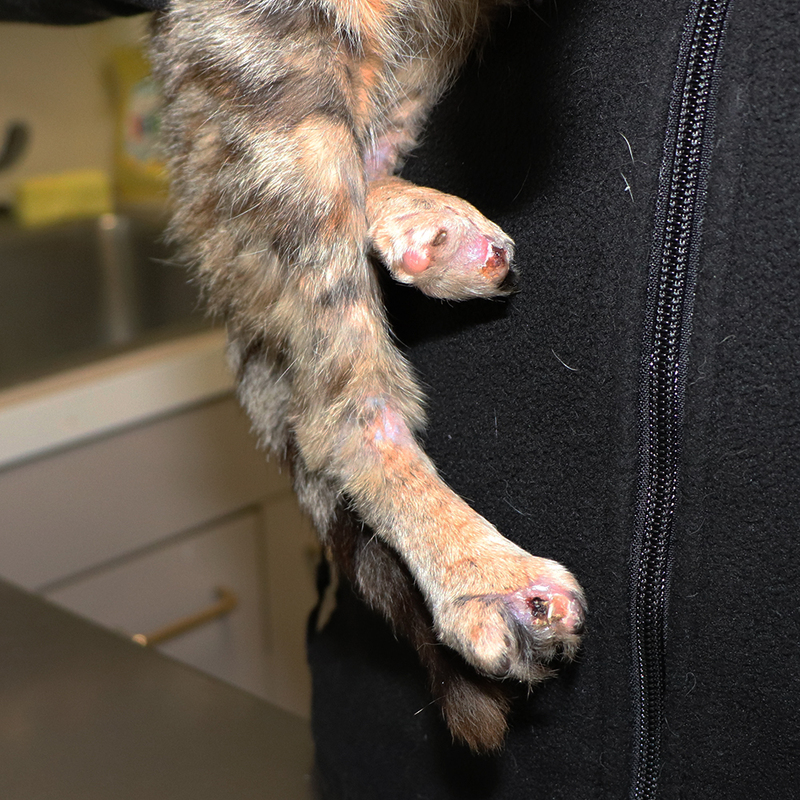 Life had not been kind to this four-month-old kitten, who had severe degloving injuries to her back feet. Only Cranberry knew what she had endured. These types of injuries occur when the skin and soft tissues are pulled away from the bone as a result of some type of trauma. Veterinarians at Animal Care Centers of New York City, where the kitten was first brought, could only speculate about what happened. Were her back feet somehow crushed? Or did they get caught in the fan belt in a car? Often, in cold weather, cats will try to get up into engines of cars for the warmth. 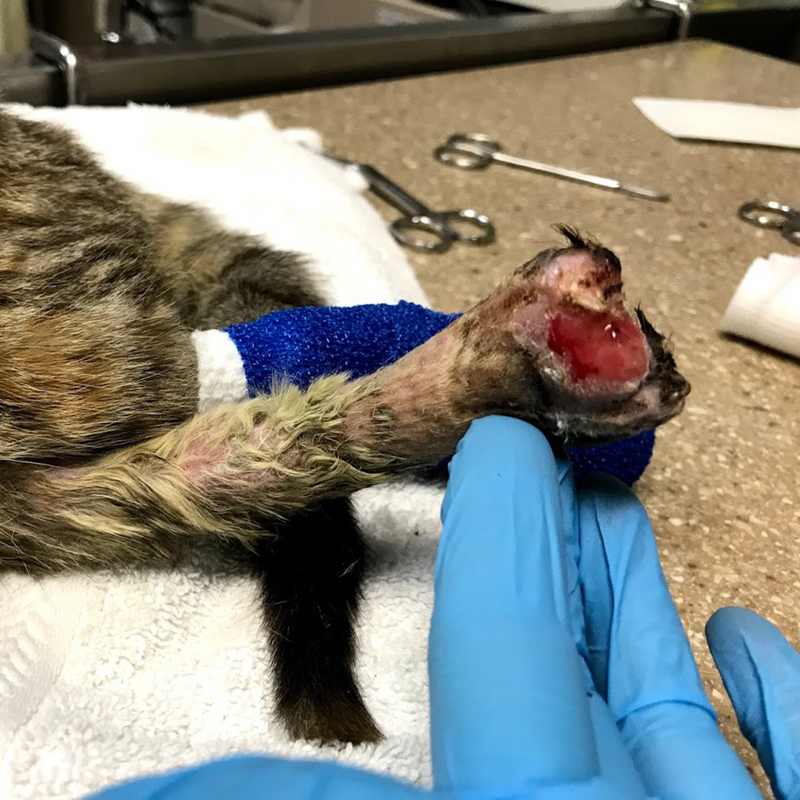 Upon further examination, they found that the injuries on both of Cranberry’s back paws had exposed the bones on multiple toes. The wounds were infected as well. This is when she was transferred to our accredited Pet Health Centers in Port Washington, NY. 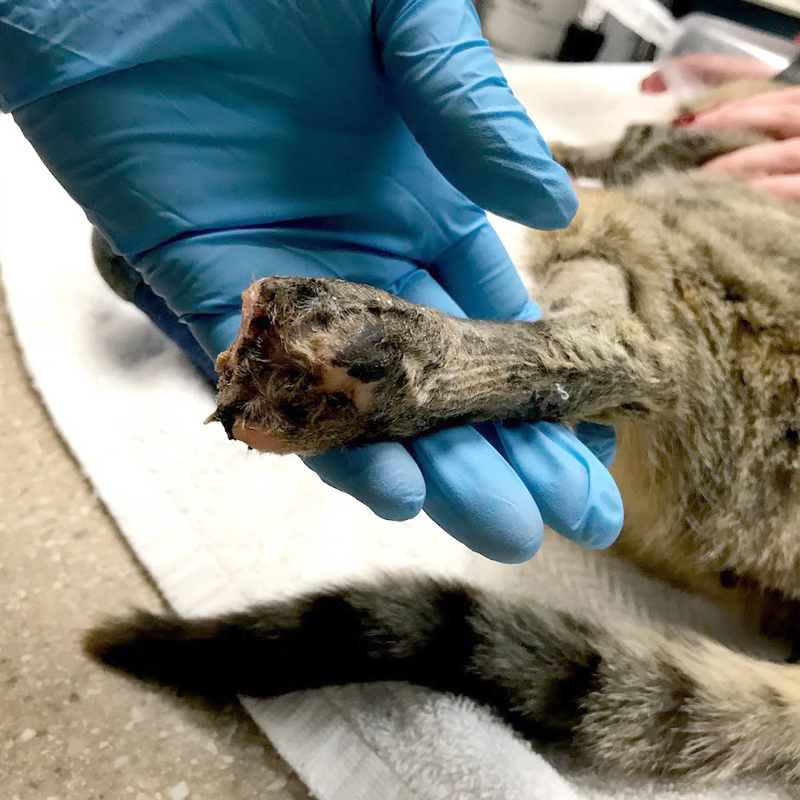 She underwent surgery here to repair her paws and, unfortunately, some of her toe tips had to be removed. Then came the long process of healing—bandage change after bandage change after bandage change. It was a lot for a young kitten to endure! 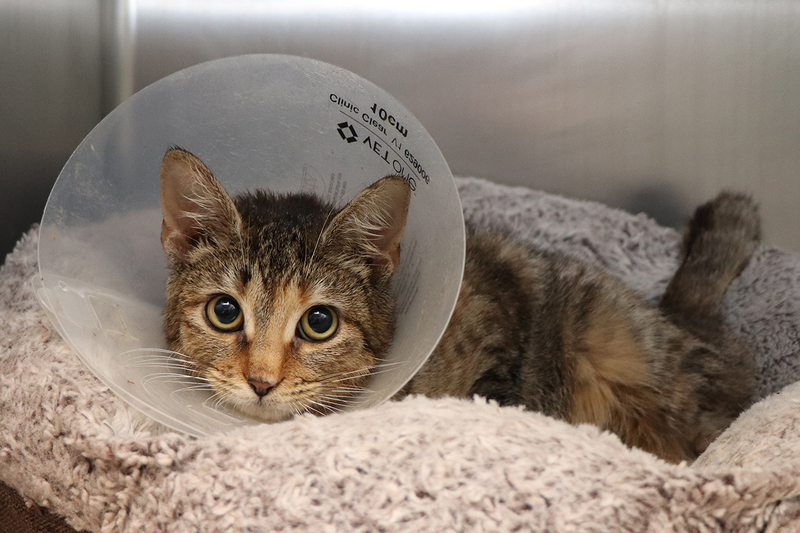 Cranberry’s rescue story is a memorable one and it’s such a testament to the resilience of animals that she made it through this ordeal. 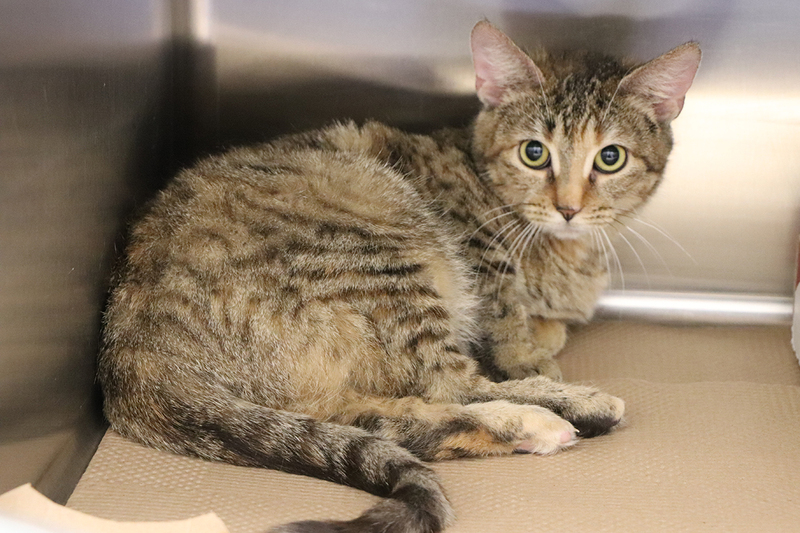 Your donation will help continue our rescue efforts to bring other homeless animals in need to the safety of our no-kill shelter. 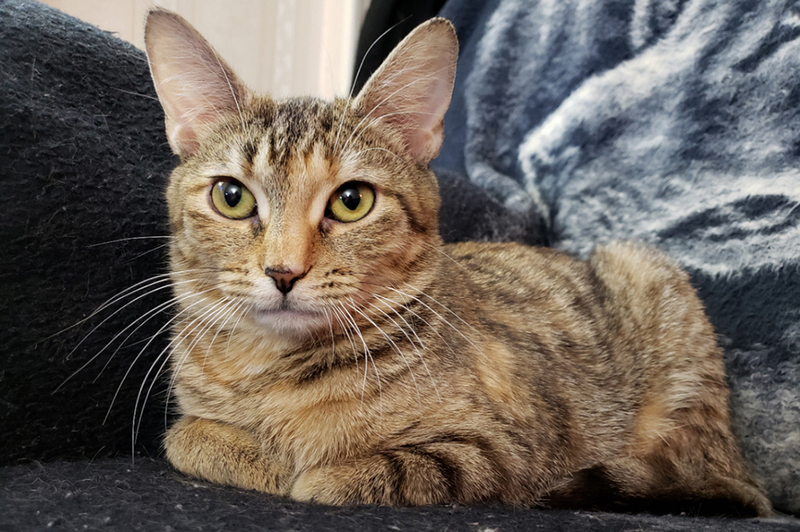 After having moved over to the Adoption Center, Cranberry revealed a spunky, playful side— “attacking” her feather toys—and she started to interact with people in her own shy way. 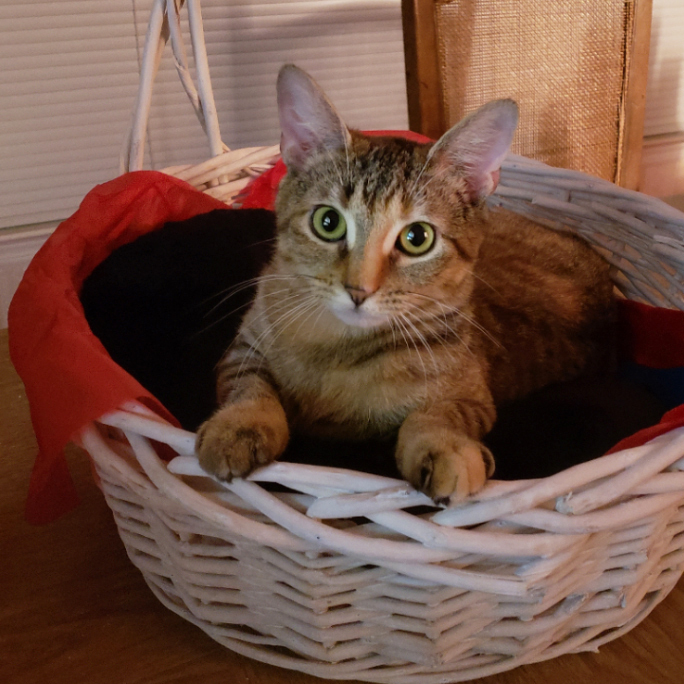 She was recently adopted into a responsible, loving home where she has a feline sibling to play with. What a happy ending for a kitten who had such a rough start in life!